When I am allowed to tag along my daughter to cover an event like moms and kid occasion, I always confirm my attendance at once because I think the event is a perfect bonding time too. 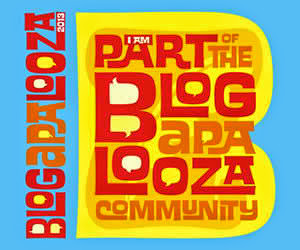 Besides, it helps her socialize and at the same time expose her in different fun and learning activities. 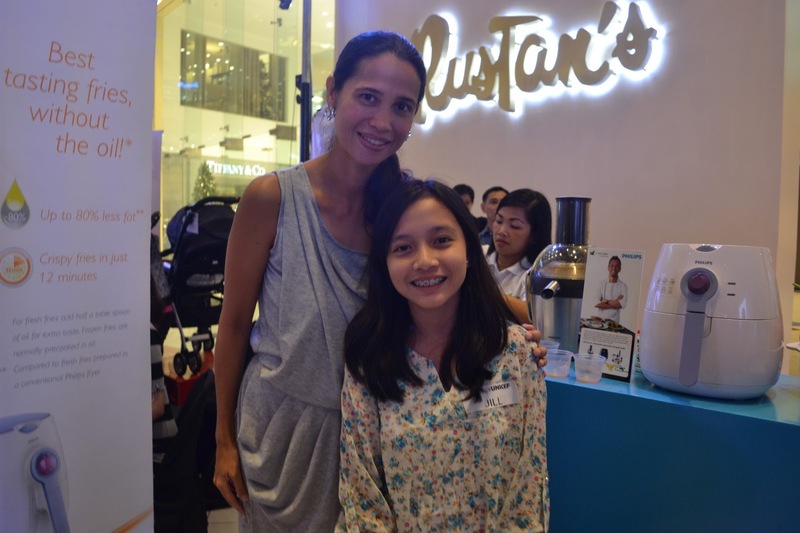 Photo was taken with celebrity mom/endorser/writer Maricel Laxa Pangilinan, one of the guest speakers of the event. As soon as we enter the venue, the coordinator would always ask our names and put a name tag in our dress just like office desk name plates to recognize each other in the event and also it serves as our passport to roam around the area as media guests. 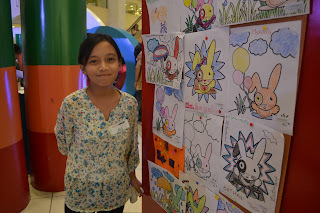 My daughter as she had a photo op at coloring activity area. Though the activity suits for preschoolers, I'm glad that she also enjoyed the moment even if she's old enough with the said activity and get along well with children too.